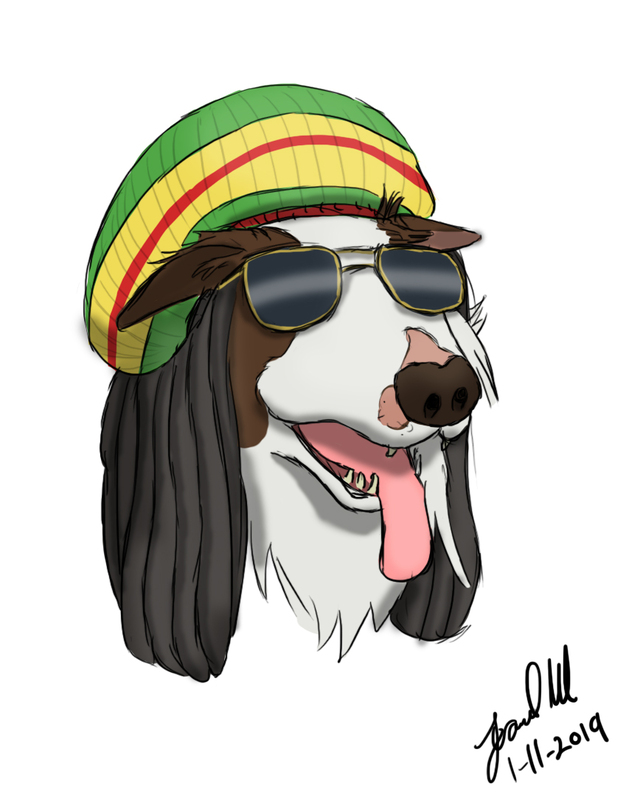 I was recently commissioned by Playstation-bunduru to draw a dog in a Jamaican rasta hat. We talked some details and this was the final result; he was really happy with it to say the least. I felt awesome as well, as this was the first time I had done an art commission for 2019.